Yesterday, in a cadet capstone brief on strategic landpower, I came to the realization that my general description of the concept had not been getting through. I needed a more concrete example to provide – something cadets could visualize. In short, a good example. Strategic landpower is the comprehensive employment of landpower to effectively and efficiently achieve desired security conditions in the human environment. The human environment is the sum of physical, psychological, cultural, and social interactions between strategically-relevant populations and operational military forces in a particular war or conflict. Example: Imagine employing strategic landpower in order to seize and control West Point. You would have several different tasks requiring control of differently sized (and peopled) areas for varying times. If you wanted to seize and control the West Point garrison until 2017, you’d use the Army. If you wanted to seize and control Constitution Island until June, you’d send the Marines. If you wanted to control Highland Falls indirectly, you’d employ Army Special Forces trainers. If you wanted to seize and control Redoubt 4 (high point overlooking West Point) on May 10th from 0200-0600, avoiding roads on approach, you’d use some direct action Special Operation Forces element. In short, the natural complexity of the Earth’s surface demands specialization in these tasks. Strategic landpower synchronizes the many ways to seize and control territory. Although the above example is somewhat stovepiped, they can be conceived of as one comprehensive whole. 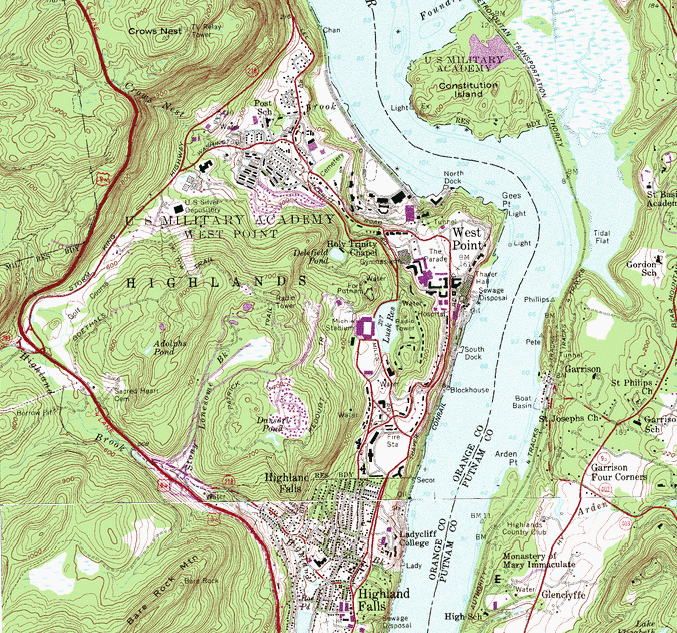 If the Army were required to seize and control West Point until 2017, all the other key terrain mentioned (Constitution Island, Highland Falls, Redoubt 4) would likely be necessary too. Which means synchronization across forces. “[T]he soldier, few men realize, is the only one of the military men who cannot do his part of the war alone. The airman can have his duels in the air and can bomb factories or enemy missile launchers or whatever he chooses all by himself. He does not need the soldier or the sailor to help him. The sailor can sail away and sink the enemy ships and control the seas and even extend his influence ashore, all with his own ships and his built-in air strength and his own specialized troops in the naval service. Some landpower officer might read that and feel somewhat depressed in the domain’s lack of independence. I read it differently. This brief exposition on landpower has, if nothing else, demonstrated how diverse and complex the tasks are in holding and controlling territory. As the land goes, so goes the forces that seek to control it. Specialization is required – in turn, demanding synchronization and harmony of these different organizations. NextEssay Contest: Time to Vote!